Fun Things To Do This Month! In conjunction with First Friday Art Walk, the OtterBox Digital Dome Theater at FCMoD will present 360° artwork from artists around the world and right here in our own community! On April 5th, experience dance like never before in 360° with the work of Dance Dome. The Dance Dome project, launched in 2012 as an audience engagement platform for contemporary dance in Wales, UK was conceived by 4Pi Productions and delivered in partnership with Coreo Cymru. The project seeks to create stunning immersive dance films which are screened in planetariums worldwide as well as toured in Dance Dome’s own portable immersive cinema dome at various festivals and events around the UK and world. Come experience a selection of their films including their newest work, Liminality. Cash bar will be available. $10/$8 for members. Pre-registration is recommended. Earth Day is a combination of activities and events for the entire family, featuring informational booths and displays, arts & crafts, live music, speakers, local food and a beer garden. Earth Day encourages and inspires community members to honor the Earth EVERY DAY and make efforts toward conservation and preservation of our wondrous planet for current and future generations. Welcome to FoCoMX 2019! This marks the 11th year celebrating the Northern Colorado music scene, and we hope you'll take the time to scour the 300+ different performers playing this year's event at 30+ venues. We are so lucky to have such a vibrant scene that is supported by music lovers and our community at large. Thank you to everyone for making such an event possible! FoCoMX, presented by the nonprofit Fort Collins Musicians Association (FoCoMA) and Odell Brewing Co., has garnered national attention and earned the unofficial title of "The Biggest Little Festival in America." 2 mile fun run and festival to benefit Loveland Parks and Rec Foundation. Live music, games, raffle, food trucks and more! The Foothills Taste of Loveland, wine, beer and food experience is our biggest and most successful fundraising event. 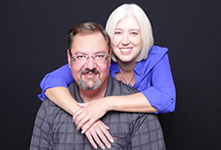 This event is made possible by the continued partnership with Gary Buchholtz of House of Spirits and Sara Buchholtz of Thompson Valley Liquors. We feature food and beverage stations representing 50 fine wines and spirits, 40 area restaurants and a number of local breweries for a memorable evening of amazing wine, beer, and extraordinary food. A silent auction rounds out the evening giving guests an additional opportunity to support our mission of "More Than Giving." 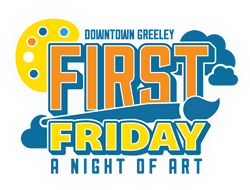 First Friday: A Night of Art is a great opportunity to visit local galleries and businesses featuring rotating artwork. Held the first Friday of each month from 5-8 pm, it is a self-guided tour and maps are available at each of the participating galleries. Who can resist the temptation to see a bunch of baby animals? Check out Baby Animal Days at Centennial Village Museum. Bring the entire family to learn about and see the resident baby animals who have arrived for the season and some who are visiting just for this event! This special event takes place in the western portion of the village. Every year our museum starts off the year with this heartwarming event. The calf, baby pigs, lambs, chicks, ducks, goats and rabbits are irresistibly adorable. Admission is $3/person ages 3+. In 2019 Greeley will be named a Tree City USA for the 39th consecutive year by the National Arbor Day Foundation. This year’s Arbor Day Celebration will take place on Saturday, April 20, at 9 a.m. at Lincoln Park. Enjoy this free community event which includes planting trees in the park, light refreshments, and tree seedlings given to attendees. Trivia Nights are hosted by Clearview Library District. Sign up starts at the brewery at 5:30pm or register you team in advance at clearviewlibrary.org. On second and fourth Thursdays each month, our Pub Trivia nights bring the community together for an exciting evening of edutainment. Join the fun with Clearview Library District! The Easter Bunny is stopping by to celebrate the 12th Annual Easter Eggstravaganza! Search for eggs in the water during our egg splash in the indoor pool; take part in our traditional egg hunt in the gym; and enjoy open gym activities, games, and a chance to win door prizes with your child on this sweet and special day! Bring your Easter basket and swimsuit! Open gym activities will be from 10 a.m. to noon. Egg hunts will start at approximately 10:15 a.m. (Wave 1 - Pool), 10:45 a.m. (Wave 2 - Pool), 11:15 a.m. (Wave 3 - Pool), 11:45 a.m. (Wave 4 - Gym, Non Swimmers). Please register for your desired wave preference, and please choose only one wave in which to participate. Ages 3-5. Consider yourself at home! This Tony and Olivier Award-winning show is one of the few musicals to win an Academy Award for Best Picture and is widely hailed as a true theatrical masterpiece. The streets of Victorian England come to life as Oliver, a malnourished orphan in a workhouse, becomes the neglected apprentice of an undertaker. Oliver escapes to London and finds acceptance amongst a group of petty thieves and pickpockets led by the elderly Fagin. When Oliver is captured for a theft that he did not commit, the benevolent victim, Mr. Brownlow takes him in. Fearing the safety of his hideout, Fagin employs the sinister Bill Sikes and the sympathetic Nancy to kidnap him back, threatening Oliver’s chances of discovering the true love of a family. The Johnstown-Milliken Weld RE-5J Preschool and Johnstown Milliken News are planning the annual 2019 Children’s Festival. This event is held for families with young children and is an opportunity for them to receive information about health, safety, early childhood development/education and organization/business resources in our community. The environment is meant to be fun, inviting and engaging. It is an opportunity for families in our community to learn about what your organization/business has to offer them. Our annual Flashlight Egg Hunt for the community older kids (11-18 yrs). The kicker? NO baskets or bags allowed to collect your treasures! Let's see that creativity shine in how you will carry yours! *Volunteers & donors accepted until April 12th! Estes Park Bigfoot Days will feature activities, events, educational opportunities, and entertainment all dedicated to Big Foot lore. There will be a ticketed Bigfoot themed dinner on Friday night, April 12th, which will feature a talk and Q&A from a world famous Bigfoot expert. Saturday, April 13th will feature a Big Foot run and a FREE festival with live bands, entertainment, vendors, food trucks and much more! Join us in Bond Park for some BIG fun! Experts on hand will include James "Bobo" Fay, Dr. Jeff Meldrum, and local Bigfoot experts. Join us at the Quota Club of Estes Park’s 3rd Annual Taste of Estes held at the YMCA of the Rockies Assembly Hall from 5:30 - 8:00pm. Enjoy a sampling of menu items from restaurants, craft breweries and other local establishment and discover a little bit more about each one. Taste of Estes tickets are on sale now and you can get them at Macdonald Book Shop (downtown), A La Carte (downtown), the Estes Park Visitor's Center or from a Quota Club member. Bon Appétit! Colorado Hot Springs ~ Fun Year Round!